I absolutely love the Bead Soup Blog Party idea. I wanted it to help bloggers, old and new, to connect with one another, introduce new bead shops, and above all, to push artists (97 last time!) beyond their normal designing boundaries. This year, I've had a lot of trouble finding my way. I've wanted to experiment with new types of beads and in new ways, but I've been sluggish, falling back into my old patterns. So, I decided that I'd pay a bead maker once a month to send me a bunch of beads, sight unseen, and I'd have my own private Bead Soup Blog Party. This month, I paid Barbara Bechtel of Floridity, a phenomenal polymer clay artist, to send me some goodies. The lovely thing about this? She was going to send me some things from her brand new line! These are from her brand new Whisper Collection. Barbara says they're inspired by nature, poetry, and traditional mark-making. Each one is drawn and etched one and a time, and I'm thrilled to get them. I'm imagining pulling out some of my CiM Sepia glass to make some little beads to go with them. The next set of beads she sent are from her Breeze Collection. I am in love with the bird! These just scream spring and summer to me. Not quite sure yet what I'll do with these, but that's the point, isn't it? I don't quite know when I'll have these made up into jewelry and posted, but I have given myself to the end of August, since I got a wonky start and want to have a new artist for an entire full month. 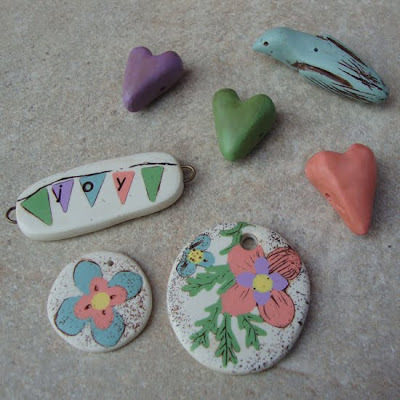 Floridity's shop button is over on the right side of the blog, and here are her other sites... I hope you'll frequent them, and tell her Lori sent you! Lori Anderson designs jewelry for Lori Anderson Designs and also writes for the blog An Artist's Year Off. She lives in Maryland. What a TERRIFIC idea! 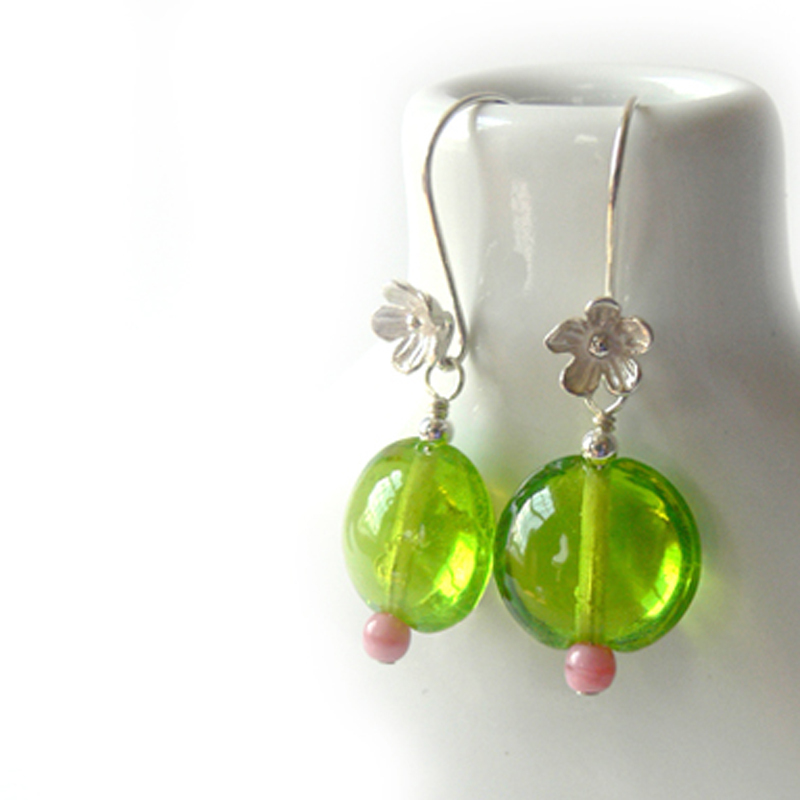 I feel confident that your creative juices will flow and you'll make some incredible jewelry. These are beautiful beads! I love the soft colors and the whimsical designs. What fun you'll have and what a great idea to challenge yourself that way. Good luck! That is such a great idea, Lori! I can't wait to see how those beads and components push your already-formidable design skills! Go, you! What a genius you are! Great way to keep the creative juices flowing, the element of anticipation and surprise, supporting a fellow artisan and hours of fun! Have a wonderful weekend! Looking forward to seeing the finished products. BTW the beads you received are lovely. I love Barbara's creative juices! It's better than fresh squeezed OJ from trees in your back yard! The new Breezes collection is outstanding. Really something special with each piece being made with oodles & oodles of love. I love this. What a great idea. I can't wait to see what wonderfulness you create. what a great idea to punch up the creativity. the fall is when my creative side comes alive..the summers here in texas are so hot it's hard to think. What a great idea Lori! This will be sure to get the creative juices flowing. I really love the Whisper collection. Can't wait to see what you do with them. Awesome idea! Love the beads! I know what you make will be stunning! I'm so honored to be part of your challenge Lori! I just love to see how others use my beads and I can't wait to see what you come up with! Sounds like a fab idea - I'm gonna check out Barbara's shop right now! Great idea Lori. Can't wait to see what you come up with. I agree, Lori...what a novel idea. Trying new beads and components and featuring a designer at the same time. Floridity's pieces are just gorgeous..and I especially like her new Breezes collection. BTW, introduces US to new artists as well! i love the whisper collection....can't wait to see what you create. have fun! Fantastic idea to get that creative juice flowing! Can't wait to see what you do with these gorgeous beads! A very innovative idea! I look forward to reading your blog posts! I'm an aspiring jewelry designer & I love your work! So glad I happened on to your beautiful blog. I can't wait to follow you along life's many adventures!!! These new beads are gorgeous! I adore the little bunting with the word Joy on it! Can't wait to see what you make. 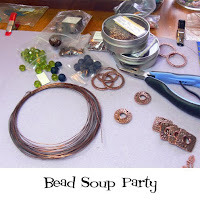 Lori you have the most awesome ideas girlfriend (Bead Soup Party my fav!). I love the idea of having people sending you beads and coming up with designs from those beads - inspiring! The Whisper Collection is gorgeous!! 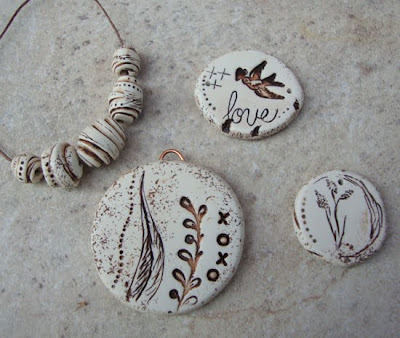 I can't wait to see what you do with the CiM Sepia beads and those Whisper beads. I am waiting in anticipation to see what you create! Wonderful idea Lori! And the beads are really wonderful! Lori, what a great idea. I'm sure you will come up with some fantastic designs with those beads. I'll have to check out her shop as I am too trying new beads and new styles, especially artist made beads. Oh darlin...you are beyond brilliant! I love a good collaboration and this just screams fun to me! I am doing that same sort of thing...except that I asked the bead artists to be inspired by the local paintings. I am blown away by what they came up with and it is taking every fiber of my being to be as creative as possible to do them all justice. I love, LOVE the idea of a mystery grab bag of sorts...that is very intriguing.